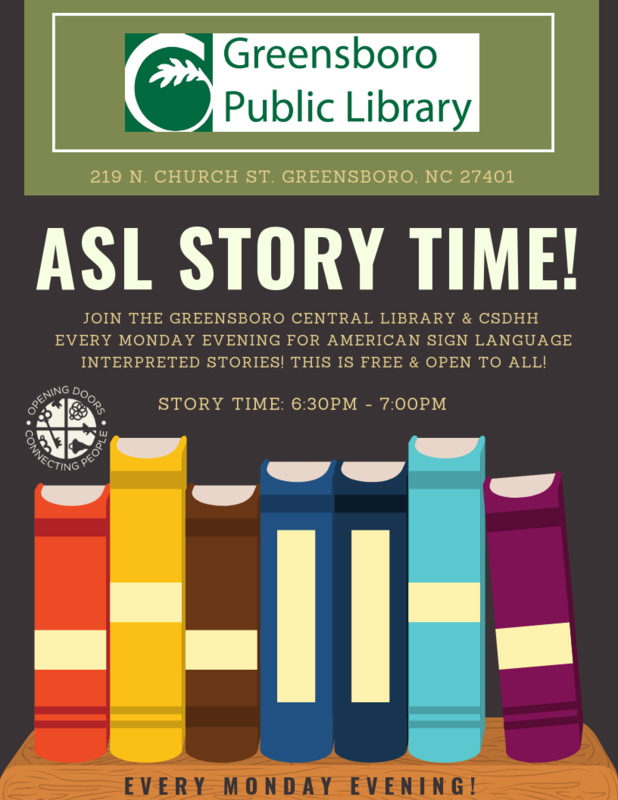 ASL Story Time at the Library! Friends and Families will go to Rockin’ Jump! Our CSDHH team page is live for donating and joining the CSDHH walking / running team! You are the key to raising money and awareness about communication access services for Deaf, Hard of Hearing, and Deaf-Blind community members. 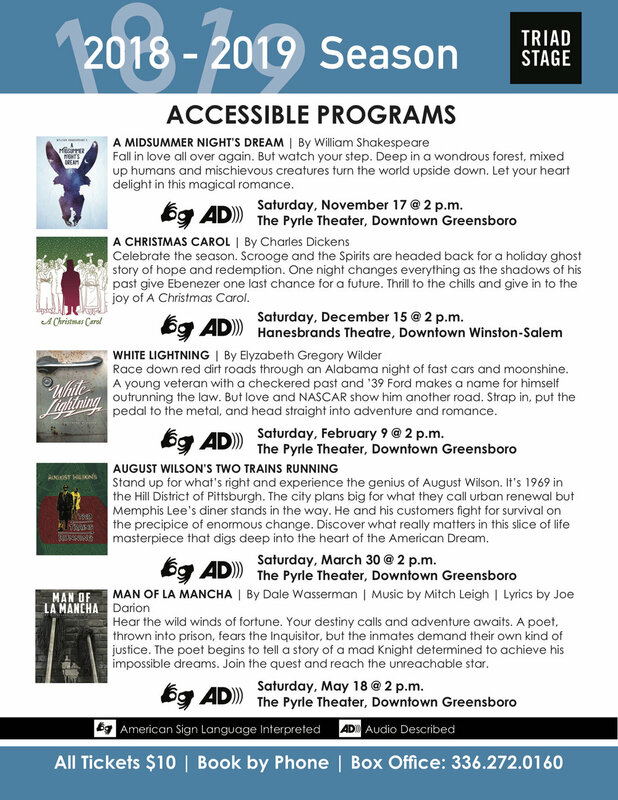 With your help, CSDHH will replenish a communication access fund that will be used to sponsor American Sign Language (ASL) Interpreters and Real-Time Captioners to public, community-wide Greensboro events. Friends and Families will have a science demo! Friends and Families will have a picnic! Friends and Families will go swimming! Our 5th Annual Deaf Awareness Day is coming up soon! Learn more here! Learn more about Nancy Rourke and the inspiration for her artwork here in her NTID 2018 Interview. UPDATE - This event has been CANCELLED due to a family emergency. A lunch for those participating in the painting event will be provided between the events. Seating for the painting event is limited and tickets are required at $15 a person. Buy Tickets Here! This event is made possible through partnership with Communication Services for the Deaf and Hard of Hearing, Piedmont Association of the Deaf, and Well-Spring. Come join us for fun and make new friends, and raise money at the same time! Join us at Pieology and 20% of sales will help support CSDHH programs! Make sure to show this flyer, either in print or on your phone! Friends and Families will watch a movie! Friends and Families will go ice skating! Start off the new year with CSDHH at Bingo! Play games and watch live entertainment for a good cause! All the proceeds will benefit the Guilford Green Foundation and Greensboro Pride. Get your tickets today! ASL interpreters will be onsite! Doors open at 6pm and games begin at 7pm. Please note that the address for this event has changed! Green Queen Bingo will be held at The Terrace at the Greensboro Coliseum. Hope to see you there! Friends and Families will go bowling!